Probably the most picturesque football pitch in the world! 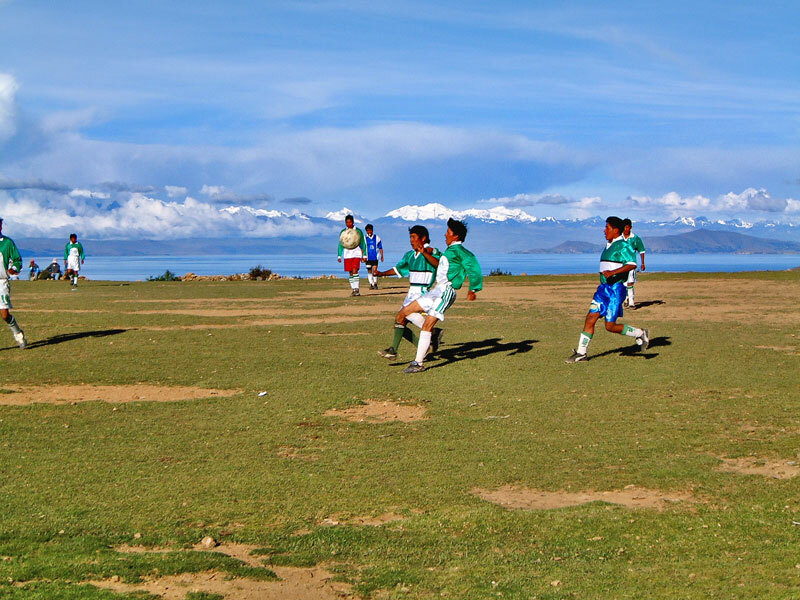 This pitch on the Isla Del Sol is set against a backdrop that includes snow capped Andes mountains and Lake Titicaca immediately below. I can only imagine how many footballs they lose over the edge of the cliff.